Searchlight Lighting LED battery operated bathroom mirror light is a stylish mirror unit with two strips of daylight white LED lighting. 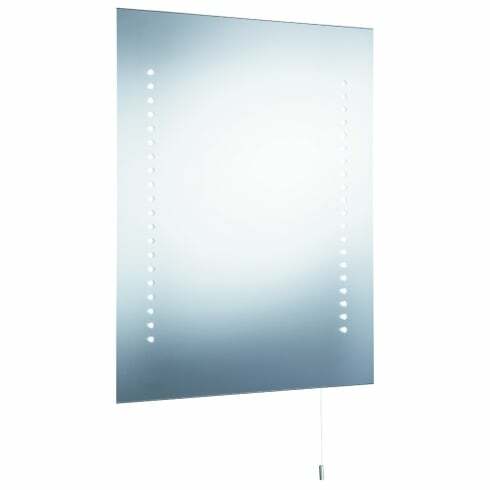 The product code for this Searchlight bathroom mirror light is 9305. This battery operated bathroom mirror is both stylish and practical, with cool daylight white LED's which will brighten up your morning routine making this as functional as it is fashionable. The advantage of being battery operated means there is no need for the expense of an electrician. Operated by a pull cord switched and powered by 8 x AA batteries not included.